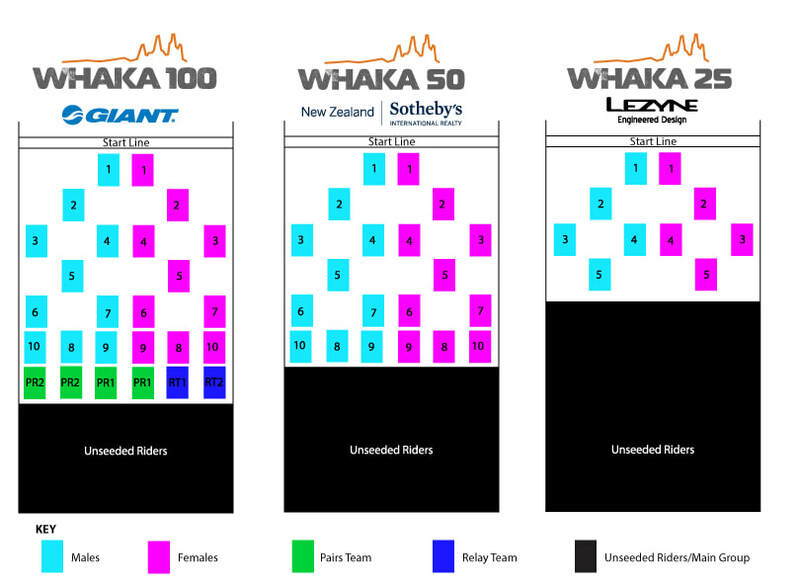 Seeding is only based on the fastest riders in the Rotorua Isuzu Shootout TT. Seeded riders must enter the start shoot upon call up no later than 5 minutes before the start. All rider must hold their start position until the gun is fired for the start. The starts are filmed, all jumped starts will be issued a 5 minute penalty. Race for seeding priority in the 100, 50 and 25km with the overall fastest male and female taking away $250 bucks thanks to Isuzu Rotorua. The seeding positions 1-7 are for the fastest overall riders in the TT despite age groups. The final 8 - 10 are for the age groupers who placed outside the top 7 riders. Their positions are 8 Masters, 9 Veterans, 10 Classic or Super classic.